The fintech startup shut down in June but has been acquired by one of its investors. Fintech startup Sindeo is back in business, Inman has learned. “Renren, one of Sindeo’s investors, has acquired Sindeo and all of its assets,” Nick Stamos, one of Sindeo’s co-founders, told Inman in a statement. “We are excited to work closely with the Renren team to execute on our original mission of offering homebuyers a straightforward path to home ownership and refinancing.” He did not disclose the terms or the sum of the acquisition. In June, many in the industry were shocked to hear that San Francisco-based Sindeo, a company that connects homebuyers with loans, was shutting its doors and laying off all its staff. The website went dark, replaced with a “farewell” letter from co-founder and CEO Nick Stamos. 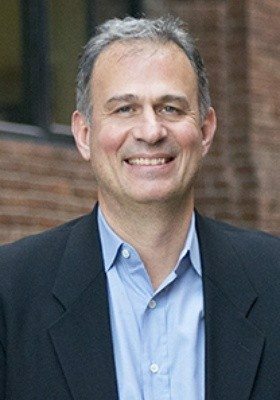 But as of today, sindeo.com is up and running, and the letter is nowhere in sight. Stamos said via email that this was “inaccurate” — so it looks like he’s also involved. 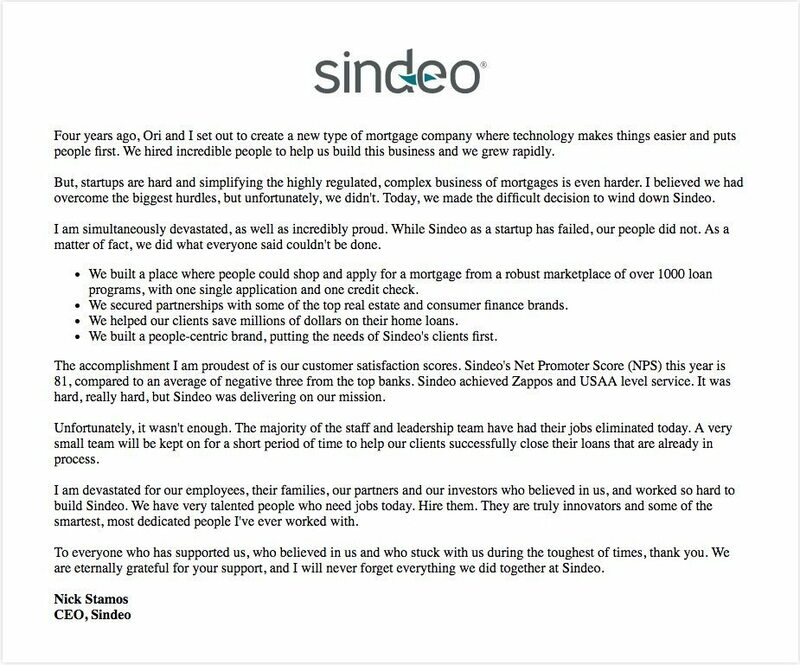 Sindeo formerly described itself as a lender-paid mortgage originator. The company aimed to offer back-end technology to help lenders process loans more efficiently and improve communication between homebuyers and real estate agents. Another major focus for the company was on providing more transparency for consumers and “demystifying” the mortgage process for those planning to purchase a home or refinance an existing loan. It looks like the company is going to get another chance — Hussain confirmed that the scope and focus of Sindeo is going to remain the same.